You receive four High Quality light lens adhesive vinyl overlays. One for each head light and one for each fog light. These guards are 3M special Clear vinyl, the highest quality material available. They will protect against chips and cracks and are completely invisible! 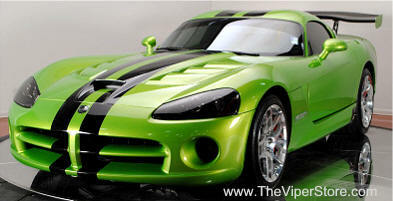 Includes four vinyl pieces: Head light overlays right and left, Fog light shields right and left. Viper replacement lenses will cost you at least $750 for one light. Protect your investment today. 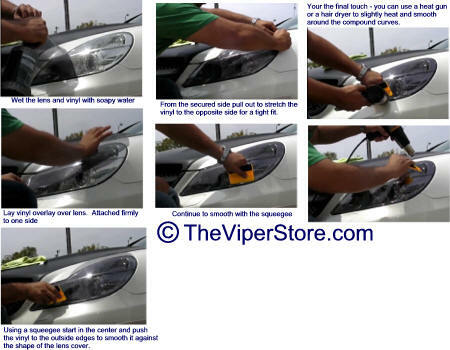 You receive four High Quality Vinyl light lens adhesive vinyl overlays. One for each head light and one for each fog light. 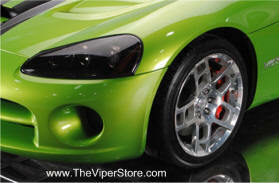 These guards are 3M special Tinted vinyl, the highest quality material available. 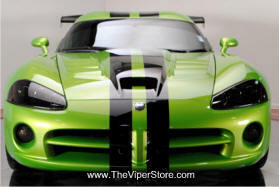 They will protect against chips and cracks and give your Viper a race car look! Includes four vinyl pieces: Head light shields right and left, Fog light overlays right and left.